These days it seems that we see Ryan Reynolds in the Deadpool costume about as often as we see him out of it, but there was a time when the actor wasn’t synonymous with the Merc with a Mouth. Recently Reynolds shared an image on social media which shows the first time he ever put on the Deadpool costume, and 2015 seems like so long ago now. The year 2015 would be the first time Ryan Reynolds put on the official Deadpool costume for the first film, which technically isn’t the first time he wore a Deadpool costume, as he did put on one to film the test footage that ended up getting leaked, which resulted in the film finally happening at all. However, this is the costume that we all saw on screen back in 2016 when Deadpool finally arrived in theaters. Ryan Reynolds jokes that the suit was a lot cleaner back then. It certainly has been through a lot. In addition to Renolds filming two full movies as Deadpool, both films have seen an immense amount of promotional material that has put Reynolds back in the costume. A lot of the trailers have included original material that puts Reynolds in the suit to make jokes to the camera. He even wears it to make CinemaCon videos with Hugh Jackman. I certainly hope that thing is comfortable considering how much time the actor spends in it. Just wearing the suit in this picture had to feel like a massive accomplishment at the time as the odds of getting Deadpool made must have seemed close to impossible at one point. The idea of an R-rated comic book movie with a character who wasn’t a household name certainly was a longshot. Now, Deadpool absolutely is a household name. He’s got two movies in the world with at least one more, the team-up movie X-Force planned for sometime down the road. What’s next for Deadpool after that isn’t clear, as it doesn’t look like Deadpool 3 is a certainty. Still, considering how popular the character is, one has to assume that he’s not going anywhere unless Ryan Reyolds gets tired of playing him, something which doesn’t look likely to happen anytime soon. 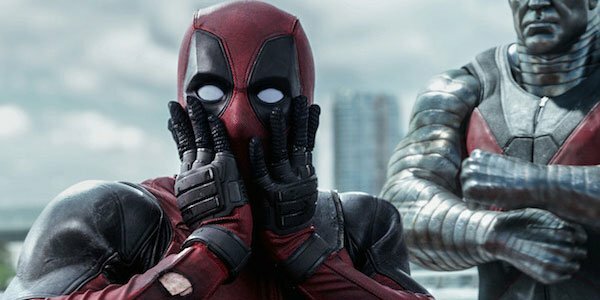 Deadpool 2 had another solid weekend at the box office and despite competition from Solo: A Star Wars Story and the continued pressure of Avengers: Infinity War, the movie has done nearly $ 500 million in business around the world. The next couple of weeks at the box office are without a major tentpole release, meaning there won’t be any new competition that will be likely to come in and steal the film’s current momentum. Early indications were that Deadpool 2 would be even more successful than its predecessor. We’ll see whether that will happen soon.